Wash day is never complete without locking in the moisture. There are three ways to seal moisture in your strands after deep conditioning: moisturizers and milks, leave-in conditioners, and oils. You do not have to use them all, but here are the differences so you know what will work best for you. Moisturizers help to retain moisture between wash days. If you prefer something more lightweight, then consider a hair milk. Although most moisturizers are water based, it is best to apply them while the hair is wet so it can retain as much moisture possible, as they are most effective when trapping moisture that is present. These two product types are chock-full of emollients, humectants, and oils. They are also great options if your hair is protein sensitive. Read more: Do I Need a Moisturizer, Milk, or Refresher? Leave-in conditioners contain moisturizing and strengthening properties. According to trichologist Dr. Kari Williams, they are meant to periodically replace your daily conditioner or deep conditioner. If you are in a hurry and do not have time to allow the ingredients in your daily conditioners and deep conditioners to absorb, then use a leave-in conditioner. Note that all leave-in conditioners are not formulated with hydrolyzed proteins, so the bottle may say leave-in conditioner even though it functions more like a moisturizer. Always check the ingredients list. Some curlies follow up their conditioner with only oil, while others layer oil atop their moisturizer or leave-in conditioner. The practice of using oils after washing your hair is called sealing; this reduces the rate of moisture depletion. People will use oil as a part of their LOC method to prevent dryness, reduce frizz, and stave off wash day. You can use a pure oil or create your own blend. You do not have to use all of these products, but you should use at least one. I gravitate more toward leave-in conditioners, because they tend to be lightweight, provide great slip, and add moisture and strengthening benefits to my coils. Since my hair is fine, I usually forgo sealing, as my moisturizers and leave-in conditioners tend to be formulated lots of oils and butters. If you have fine strands or looser curls and waves, then a hair milk is a great option for you. Whenever you want a refresher between wash days but don’t care to co-wash, consider fluffing your hair with a little moisturizer to quench your parched ends. 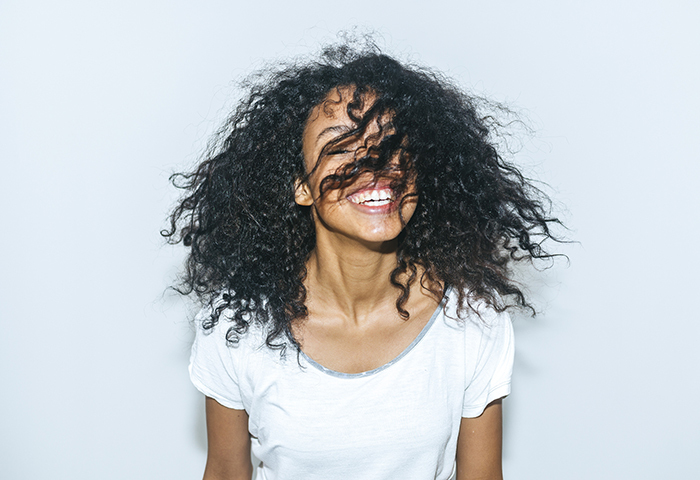 Now that your hair is properly moisturized, it’s time to learn How to Dry Natural Hair. What do you end your wash day with? Share with us in the comments! This article was originally published in 2017 and has been updated for grammar and clarity.